Earn you 829 reward points. 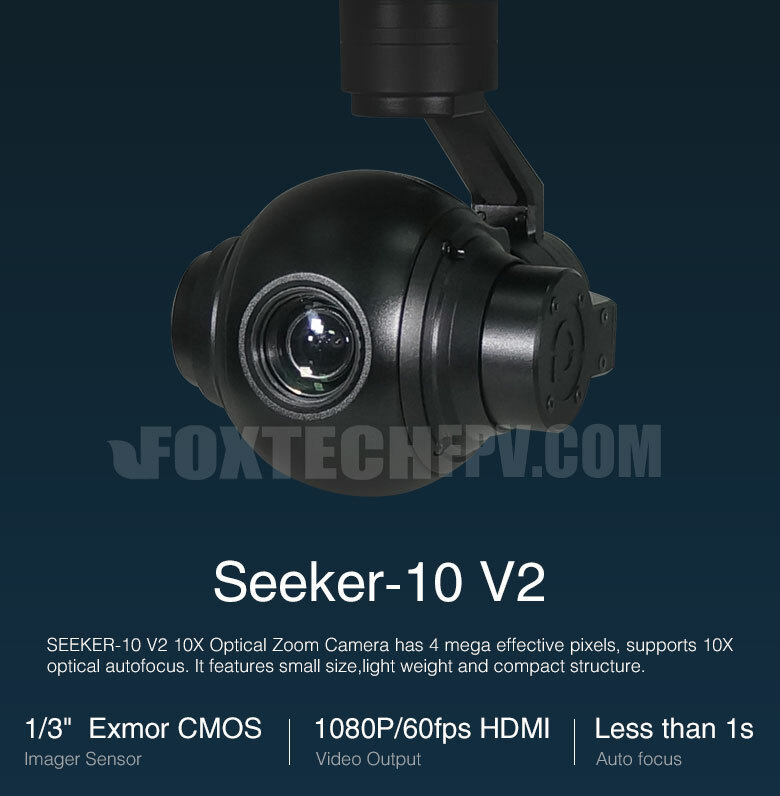 SEEKER-10 V2 10X Optical Zoom Camera has 4 mega effective pixels, supports 10X optical autofocus. It features small size, light weight and compact structure. 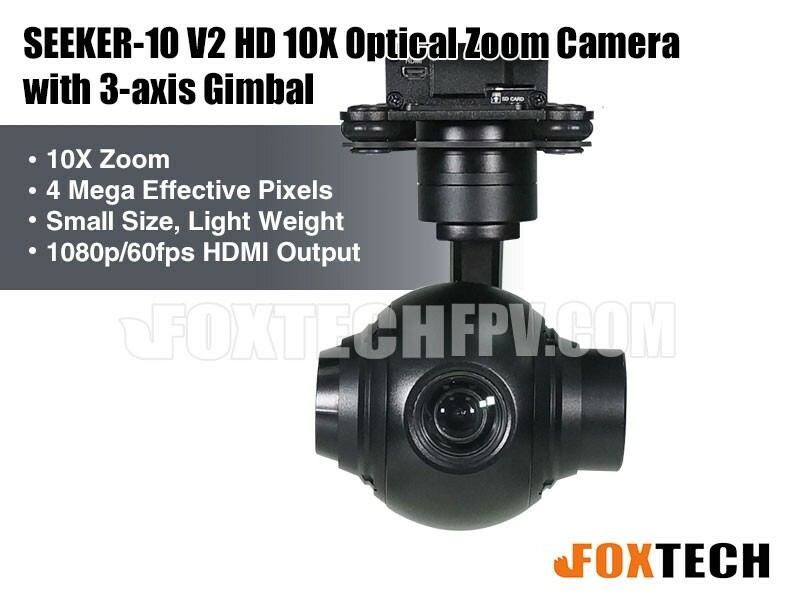 The 10x zoom camera offers 1080p FULL HD 30fps video recording onboard(H.264) and 1080p 60fps HDMI output for HD video transmission back to the ground. SEEKER-10 V2 supports max 32G SD card. 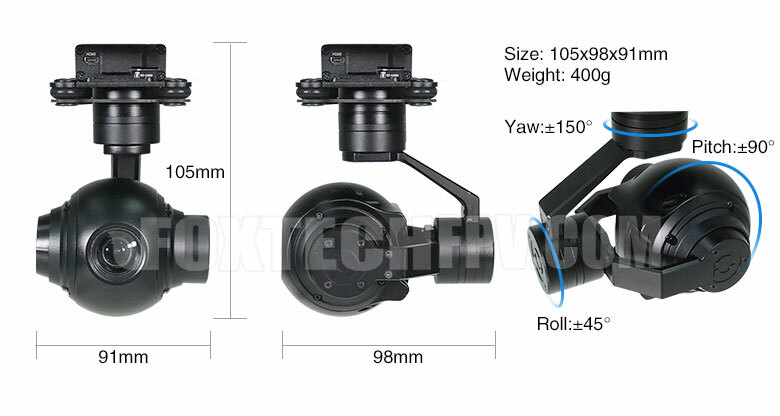 SEEKER-10 V2 gimbal supports both PWM control and serial command control, suitable for close range remote control or remote data command control. 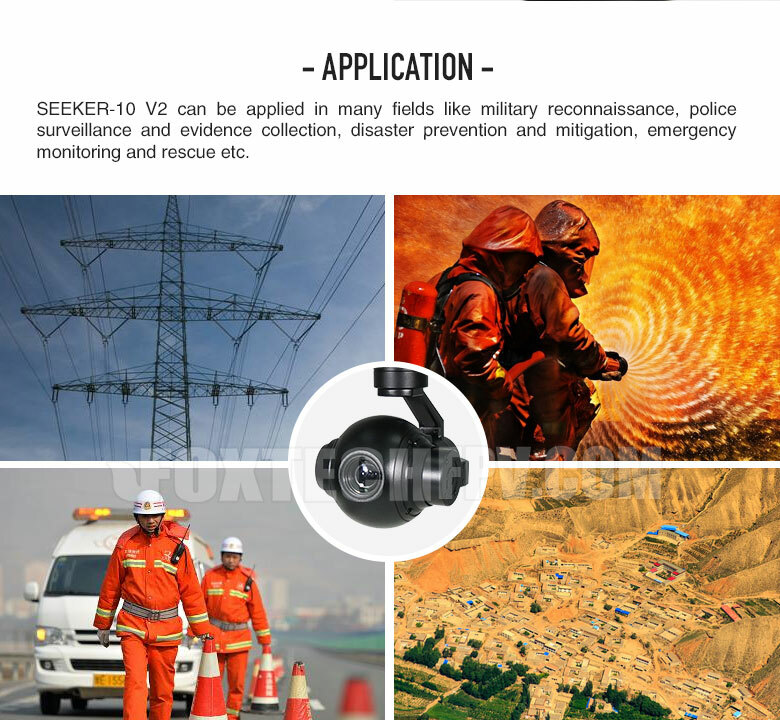 SEEKER-10 V2 can be applied in many fields like military reconnaissance, police surveillance and evidence collection, disaster prevention, emergency monitoring and rescue etc.